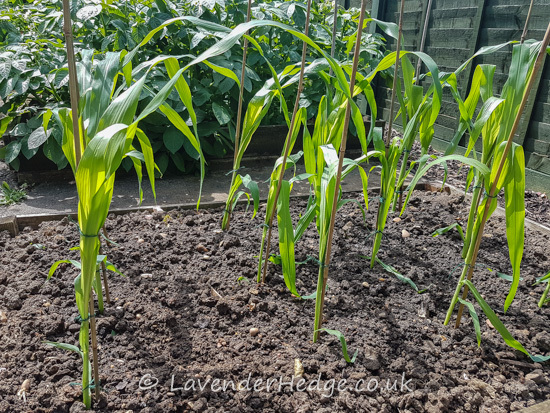 They were quite tall, so I planted them quite deep and firmed them in well, before watering. Unfortunately, within hours they had all been blown over by strong gusts of wind and all the stems were bent near to ground level. 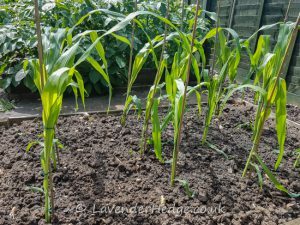 In order to try and rescue them, I quickly found some canes and tied them up, followed by a thorough watering. It seems to have been a successful rescue, as the stems are showing little sign of damage today. Fingers crossed they will continue growing!